You are a hard working Mom. You deserve a nice, luxurious bath to relax on the weekend. Should be a nice, soothing, uneventful experience, am I right? Truly, it tends to be counterproductive to the relaxation one achieved during their soak! It happened to me, just today, in fact! The Master Bath in my home is not part of the original design; the previous owners expanded the Master Bedroom by absorbing an adjacent spare bedroom. The result of which is a wonderfully expansive space for my husband and I, with an enormous walk in closet, in addition to the Master Bath. HOWEVER, while I appreciate the vision of the prior owners, small design points, such as will the position of the vanity actually allow the bathroom door to shut properly, were evidently not within their skill set. As you may have guessed by now, our vanity is a bit on the WIDE side, considering it's relation to the entry door. Up until now, my husband and I being aware of the bath's design shortcomings, it has not been an issue. I must have used extra vigor. I was stuck, wishing I had a hatchet! I hopped right back into the tub! 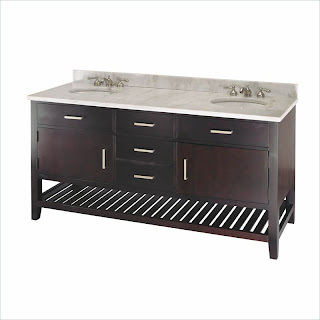 Of course, as soon as I was "rescued", I went on the prowl for a smaller vanity for my bathroom! 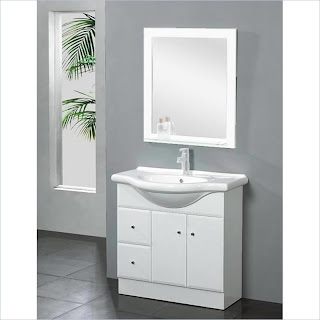 Predictably, I found some fabulous options at Cymax's MoreVanities.com! I really prefer a bright, white bath space and I found a white bathroom vanity that would be perfect for the existing layout, that wouldn't require repositioning any of the other fixtures! Although, my darling, handy husband does love it so when I add to his overflowing Honey Do list! I'm of the firm belief that one can never have enough storage in the bathroom. With just some minor repositioning of all of the existing fixtures and a more zen like color scheme, he could install this lovely Minka piece! Chic and on sale, with free shipping!! That was definitely not my first and certainly will not be my last! I've previously shut my own hand in the car door. Sigh. I'd love to hear about your "moments'! The opinions, and experiences, above are both honest and my own. 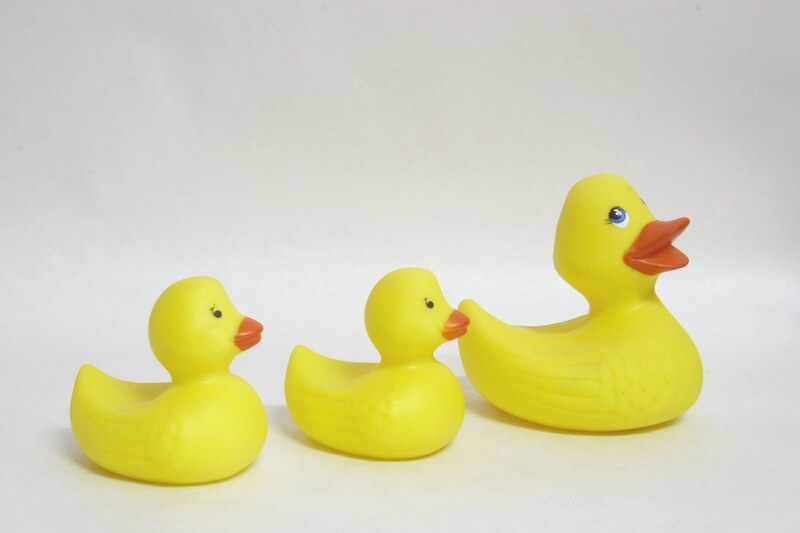 Rubber Duck Image. 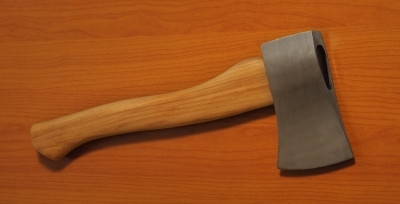 Hatchet Image. LOL! I have an awkwardly sahped bathroom, but mine was part of the original design LOL! Obviously women do not design these things! Geez, our previous home owners must be related. I have a 70's ranch with small bedrooms (typical of the time). Somebody knocked out a wall to make a bigger kid's bedroom, so my son's room is 2x the size of mine. Mine has a tiny closet of a bathroom --which had a door that swung into the bath, scrapping the sink every time. You had to close the door just to turn around. After a couple years, my hubby finally had enough and flipped the door so it opens into the bedroom instead.